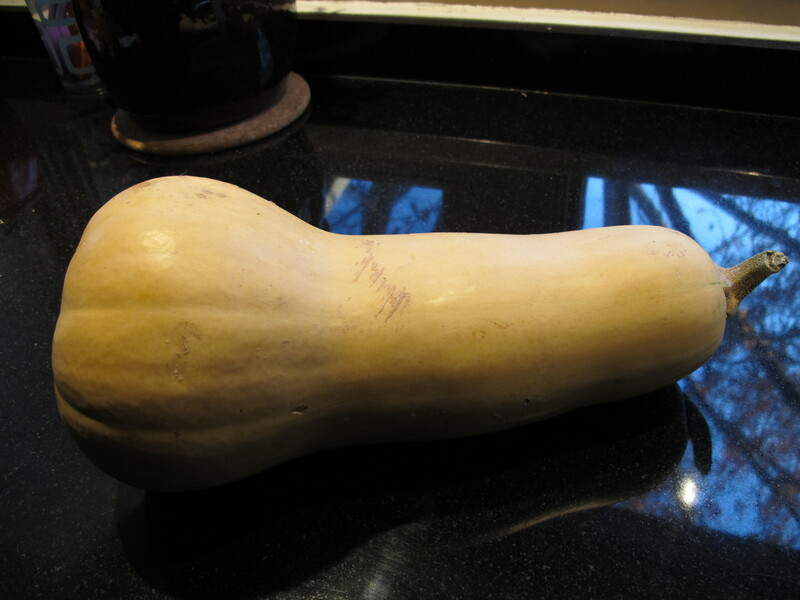 One of my favorite vegetables is the butternut squash. I love the color, the texture and most importantly, the taste. Remember when you shop for one that you are looking for a firm and heavy squash, with a long thick neck. This area is solid flesh, with the seeds contained in a ball in the base. This recipe is my “go to” preparation. Preheat oven to 400 degrees. Peel and seed squash. Cut into approximately 1/2” cubes. Halve and thinly slice onion. Combine squash, onion, corn, oil, salt and pepper in large bowl. Toss to coat. Arrange vegetables in 9” x 13” baking dish. 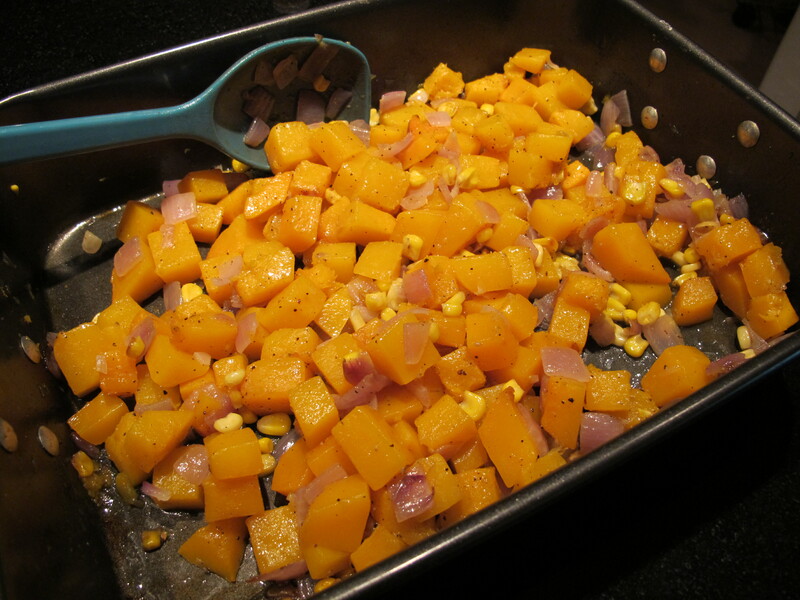 Bake until squash is tender, about 40 minutes, stirring halfway through cooking. Sprinkle Parmesan over vegetables and bake another 5 minutes. I should mention that technically I don’t make a gratin, as I usually skip the Parmesan. (I’m not a fan of baked Parmesan.) To each his own. It’s a fruit ;). Great looking dinner though. I stand corrected. One of my favorite fruits is the butternut squash!